Hey guys, I have yet another haul I got from Luxola.com. These are all skin care products. The weather and (maybe) hormones are doing a number on my skin right now. A couple of terrible, terrible, pimples have popped up on my face. One left a dark blemish because I picked it (yeah, I know) and the other is healing slowly because I'm treating it with Terramycin. 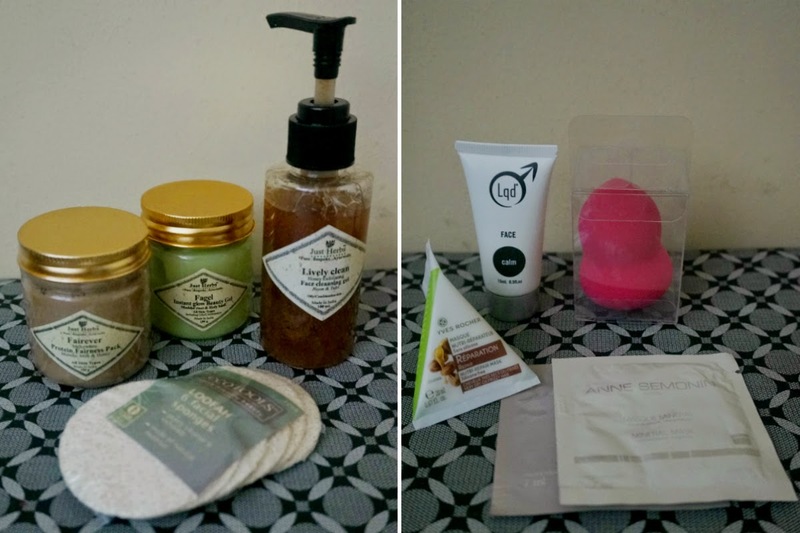 I'm on the hunt for products to combat these nasties so I got on a skincare hauling spree. 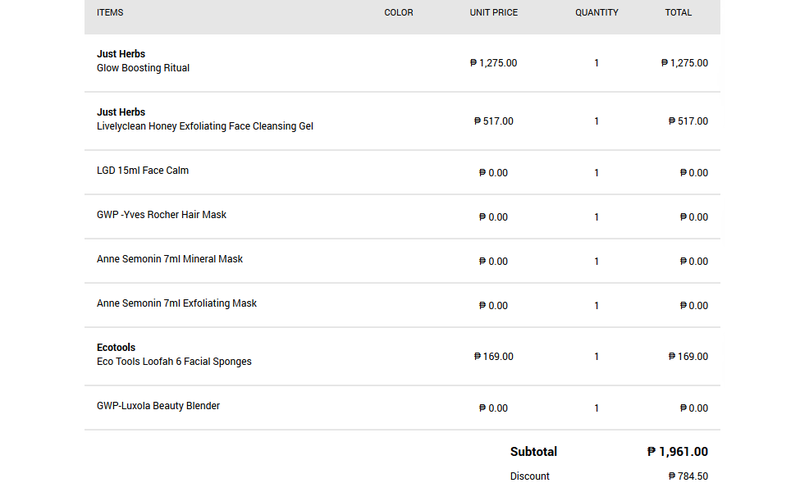 I admit that I have been negligent of my skin lately, and I've not been sleeping well (hello again, insomnia). This maybe the reason why these are popping like corn kernels over a hot stove. Hopefully, no more pimples appear and my skin gets better in the coming days with my proactive treatment and revamped zit-zapping skin care/sleeping habits. 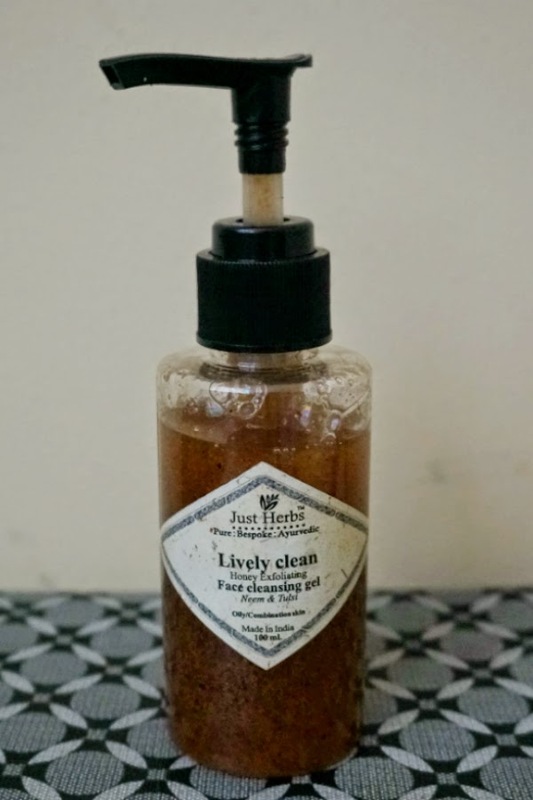 Put a radiant glow back into your complexion with this Glow Boosting Ritual from Just Herbs. Get it HERE. - Fairever Milky White Protein Fairness Pack, 150g - Contains certified organic Aloe Vera juice and vegetable glycerine to revitalizes, hydrate and calms sun exposed and even the most sensitive and irritated skin, giving it a refreshingly soothed, silky smooth and a fairer look. This exfoliating cleansing gel gently exfoliates the skin while deeply cleansing by lifting and removing impurities from clogged pores. Suitable for everyday use, gentle scrubbing stimulates blood circulation which detoxifies, oxygenates and activates skin immunity, while it dissolves and eliminates dead cells exposing the youthful, fresh, clean skin beneath. Get it HERE. Gently exfoliate skin for a smooth finish. 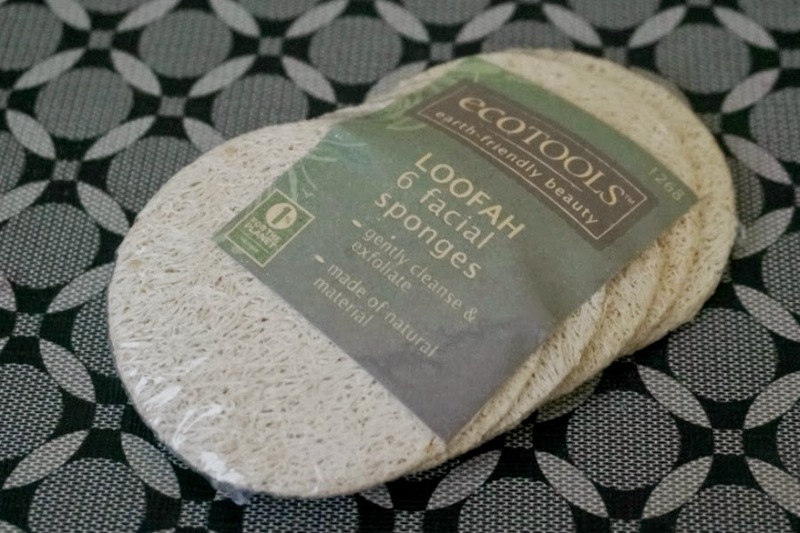 Pamper face with our reusable facial sponges made with natural loofah. 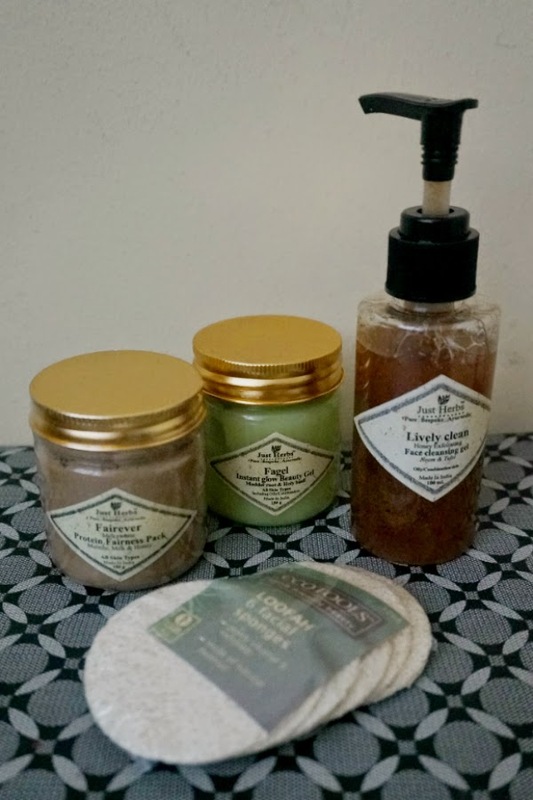 The loofah can be used with any type of bath lotion or soap. 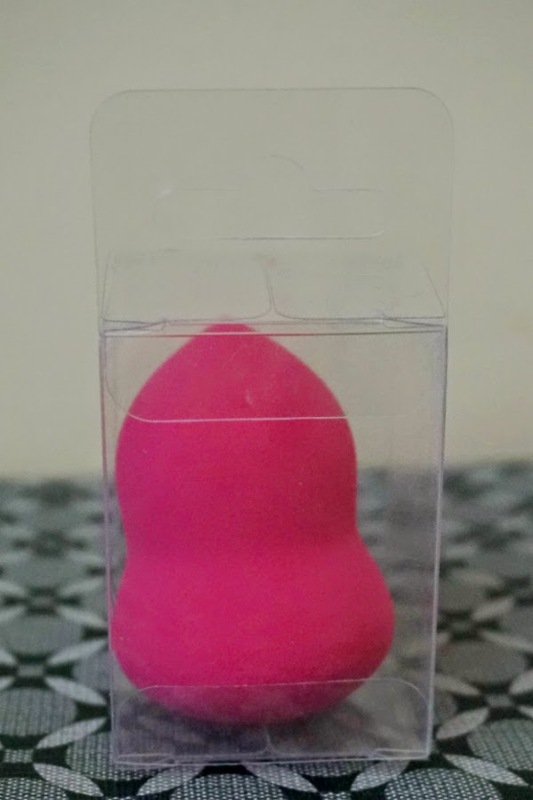 It not only smoothens the skin, but also assists to replenish the skin for youthfulness. Get it HERE. 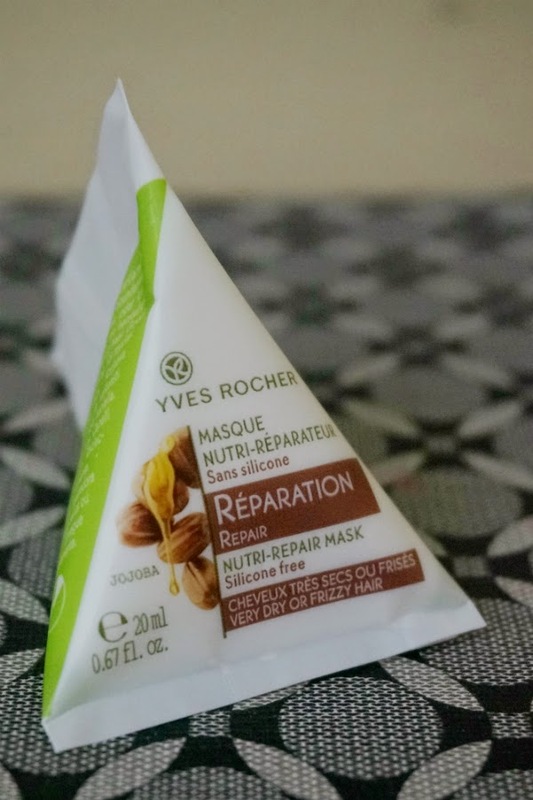 A nourishing mask for very dry or frizzy hair. Enriched with nourishing Jojoba Oil and reparative Organic Shea Butter, it nourishes the hair fibre and repairs its surface to smoothen it. Get it HERE. 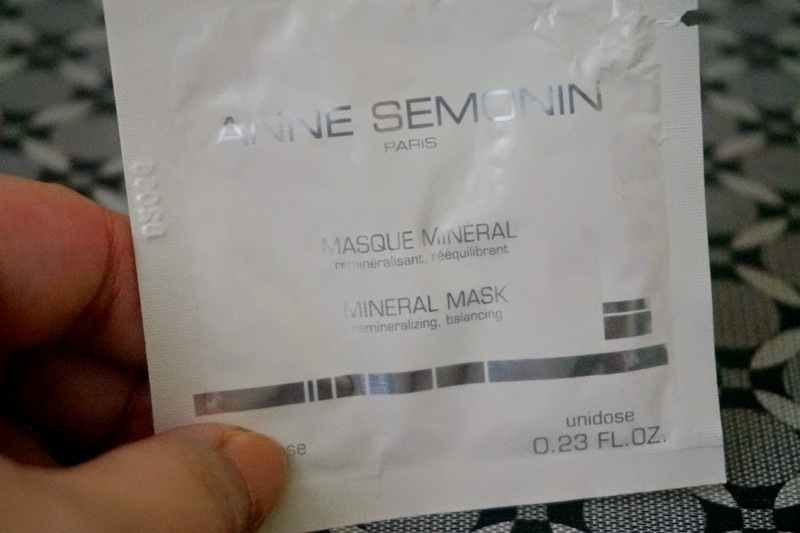 Perfect for congested and dull skin, this dynamic versatile mask is rich in natural marine trace elements and minerals to boost vitality, purify and hydrate the skin. Get it HERE. 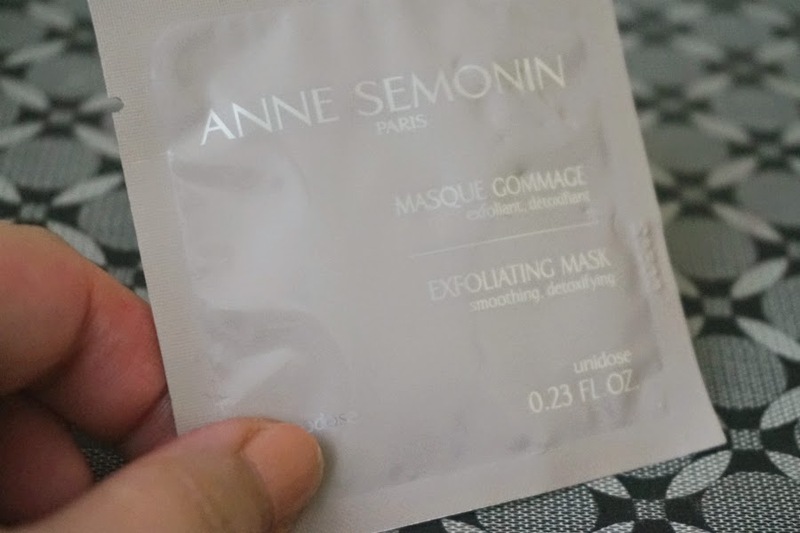 Packed with active ingredients and combining trace elements and essential oils, this dual purpose product works as a mask and exfoliator to remove dull surface skin cells, unclog congested pores, remove blackheads, and regulate sebum production leaving skin mattified, smooth and radiant. Get it HERE. 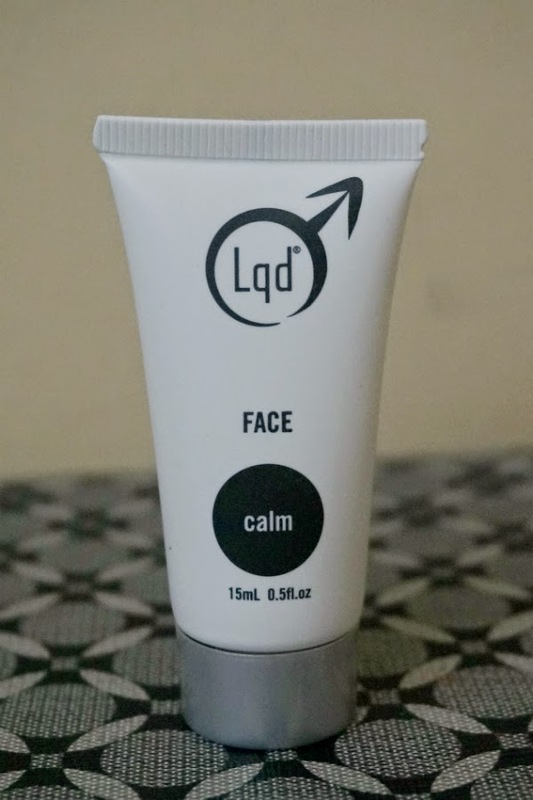 This fast acting, soothing and calming moisturiser penetrates skin quickly delivering much needed vitamins and anti-oxidants to help repair damage. Perfect for use after electric shaving. Get it HERE. 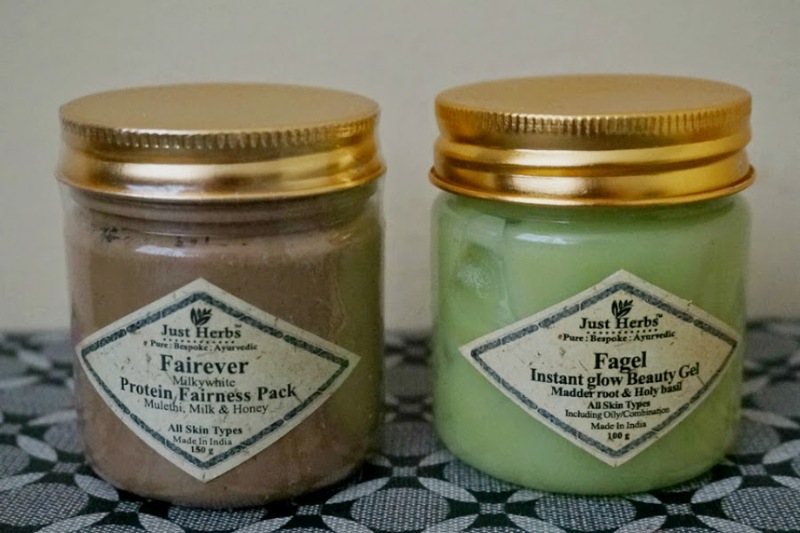 First Impressions: I have only used the Just Herbs exfoliating cleansing gel and the fagel fairness pack. Both products are great. Most of the time when products are labelled as natural or organic, they don't really work that well, nor quickly. With these two, I can feel and see the difference after the first use. I'm very inclined to buy more from this brand and maybe stick to them for all my skin care needs.